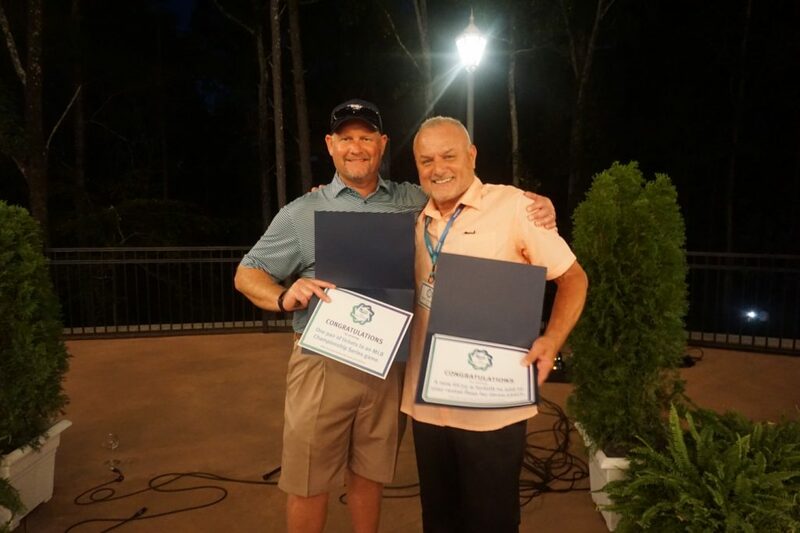 Doosan Industrial Vehicle America Corporation (DIVAC) hosted our network of Dealers at Chateau Elan in Braselton, Georgia on September 19-22, 2018. 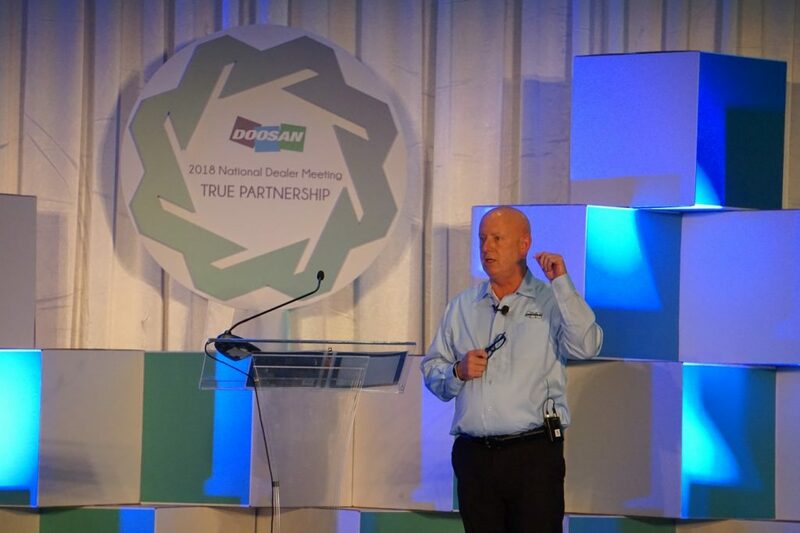 During the meeting, dealers enjoyed presentations on new technologies, marketing initiatives, and DIVAC’s vision from Tony Jones, VP/CEO of DIVAC. The theme of the event was True Partnership and the tone was carried through each session. At the welcome reception, dealers and Doosan staff enjoyed gathering and catching up. During the meeting, all were engaged on the vision and reality that Doosan prides itself on being a true partner in business. The harmony and support defined by the term inwha are evident in the mutual exchange between Doosan and our dealer network. During the General Session, presentations by Tony Jones, VP/CEO, Jeff Powell, National Sales Director, guests Bill Rowan and Greg Winchester, Dan Summers, General Manager of Service Support, and TI Kim from Doosan Industrial Vehicle (South Korea) were heard and absorbed. We migrated to a separate pavilion to show off the new GC-9 Series cushion tire trucks. Jim Schaub, MidWest Regional Business Manager, grandly presented the product with an introductory clip of famous baseball plays. All were amazed and excited about the new product. Later in the evening, DIVAC hosted an awards ceremony. All dealers were given a Doosan Bears jersey with the number one on the back, symbolizing that we have top-notch dealers. Next, we recognized all diamond awards winners for truck sales and parts. We moved on with a new category of awards, the Service Award. These were presented by Dan Summers. The Service Award winners were: CE-DFW, BestLine Equipment, Reliable Forklift Sales, Valley Industrial Trucks, INC, FMH Material Handling Solutions, Atlantic Forklift Services, and MidCo Material Handling. Our Summit Award winners were CE-DFW, Atlantic Forklift Services, Reliable Forklift Sales, BestLine Equipment, and FMH Material Handling. We had one more surprise for our dealers though. We then announced one more award! With excellent sales, service, and brand awareness, we awarded Midco Material Handling with the newly introduced Dealer of the Year award. The Dealer Meeting ended with a farewell dinner. We announced three prizes: a pair of tickets to a National League game, won by Sierra Industrial, a pair of tickets to the World Series with an airfare voucher, won by Reno Forklifts, and a free 3-year rental of a new GC-9 Series cushion truck, won by CE-DFW. Then something incredible happened. 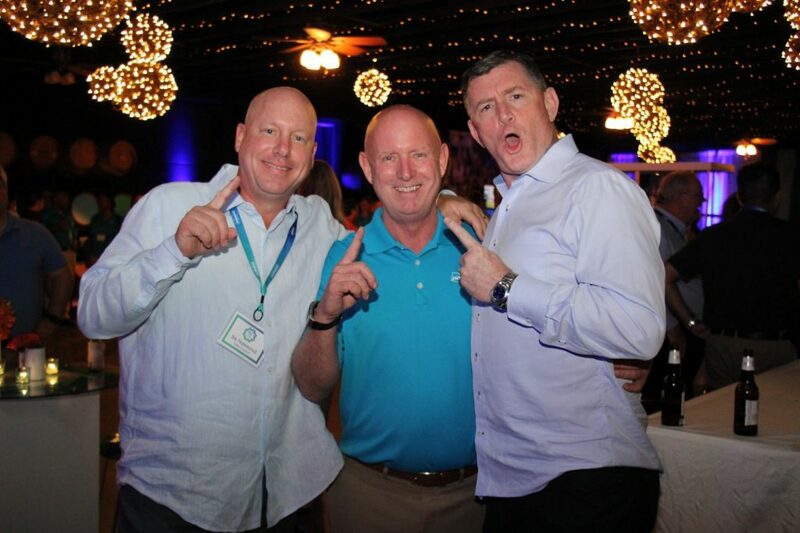 Brian, one of CE-DFW’s Dealer Principals, announced a trade. In honor of true partnership and growing together, he announced a trade to give the 3-year free rental of our brand-new GC-9 Series cushion truck to Sierra Industrial, and in return, Rod from Sierra Industrial would give Brian the tickets to the National League game. We are so grateful to have true partners in business, and cannot wait to see what the next year holds for our dealers.